Need a professional roof painter? 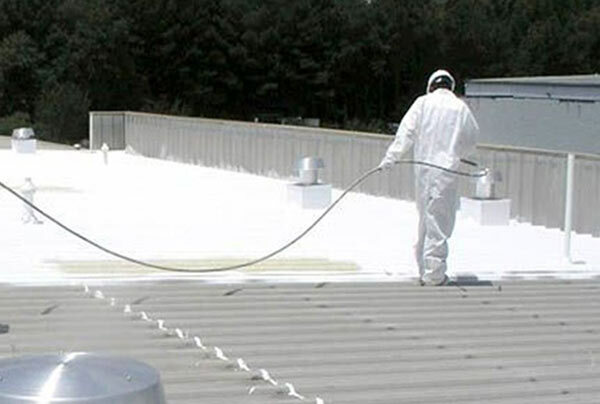 Roof painting is a time-consuming undertaking that requires skill, experience and the best roof coating products. It’s also an expensive exercise; it’s important to do it right so it lasts a long time. 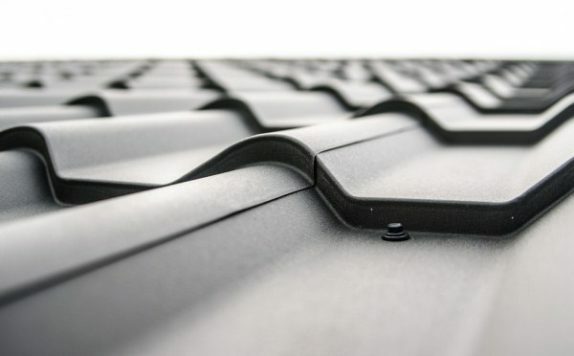 A fresh coat of paint on your roof not only improves kerb appeal and increases the value of the property, it also helps with the ergodynamics of a building. Roof colour makes a difference to the look and style of your home or commercial property, and how well it retains and reflects heat. Advances in paint technology means you have a wide choice of paint products and painting techniques to choose from and it can get confusing. Ask our professional team for help. Get it right and you won’t have to paint your roof again for a long time. Painting a roof is not as simple as slapping on two coats of paint. It requires careful preparation and the best products for the job. Roof paint must be of a superior quality to reflect sunshine, be durable and last for a long time. If you cut costs now, you’ll have to do it all over again in a few years. Preparation is key; the surface needs to be cleaned, dusted and treated before roof paint can be applied. It may need a rust treatment or high-pressure hosing to remove a heavy build-up of grime. There’s also the question of the type of paint you should use for your roof. You get water-based and oil-based paint, and each have different features. What products are best and can you stretch your budget for the better option? Ask our professional team for help. We’ve tried and tested them all. Need a home makeover? Start with your roof. Ask us for help. South Africa experiences extreme weather variations. From blistering hot days to violent thunderstorms, relentless wind and endless misty days… it all takes a toll. Roof paint is not only about colour but also about protection. A good range of roof paint will give your building a fresh look and protect it against rust, chipping, flaking and fading. You’re looking for a quality roof paint that will last a long time. It needs to be highly reflective, durable and resistant to chipping, flaking and fading. 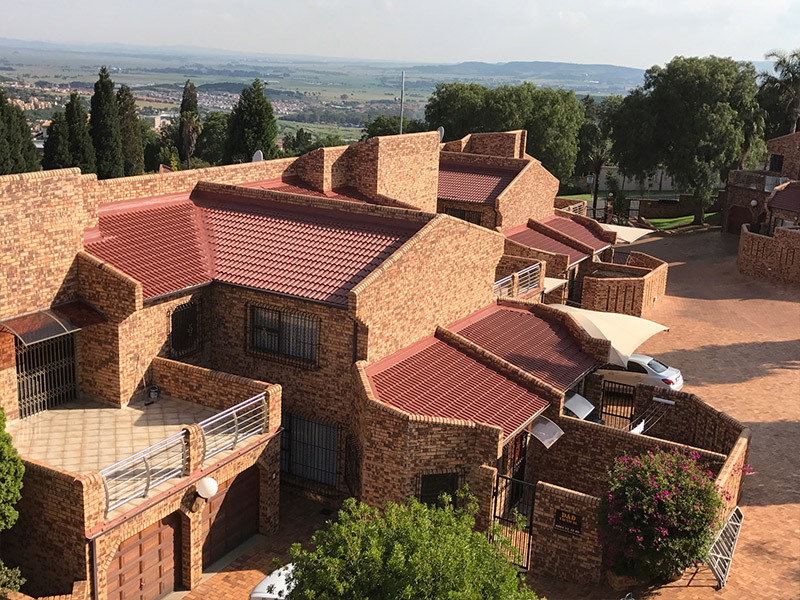 The right roof paint provides the ultimate protection against extreme variations in weather in Johannesburg. 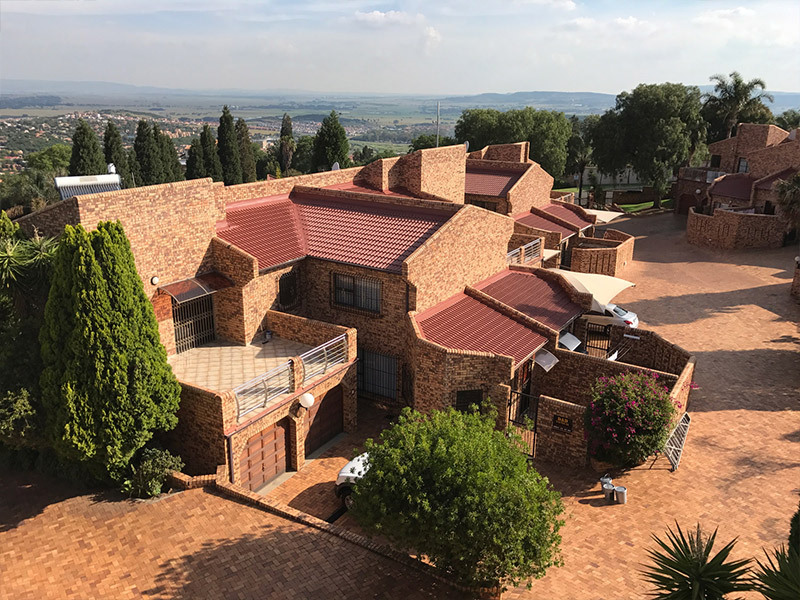 What roof paint you choose depends on where you live in South Africa and weather conditions in your region. A good quality roof paint reduces the impact of weather variations and helps regulate the temperature in your home or commercial building. The range of roof paint products is vast and new products come out all the time because of advances in paint chemistry. Paint Pros takes the guesswork out of choosing the ideal paint for your roof. We’ve been painting roofs for a long time and know what works. Our paint experts make sure your money is well spent, and you don’t have to go through the whole exercise and expense of painting your roof for a long time. A good quality roof paint reduces the impact of weather variations and helps regulate the temperature in your home or commercial building. Ask our professional team to recommend the ideal roof paint for where you live and the weather conditions, as well as the type of roof you have and the state it’s in. Thank you to Paint Pros for my amazing wooden deck. Can highly recommended them!